Breakfast was fresh and various. Staff was very fruendly and polite. Rooms were very neat and tidy. Very nice hosts and hotel despite the construction work. Thank you for the little gift and for having upgraded me. Nice small hotel with everything I required and nothing I would prefer not to have (e.g. restaurant at the first floor). Hospitality and nice smile on personel face made me feel like surrounded by loved family. We enjoyed a lot the breakfast. One of the most healty breakfast in this kind of accomodation. Sometimes, even at 4* I couldn't find so many fruits at breakfast! I think there were more than 10 different fruits. And the employees very kind and helpful. Very nice breakfast in a cosy breakfast room. Great and helpful staff. Good location for ESTEC visitors, nice 15-20 min walk in the morning. The room. The cleanliness of the premises. The breakfast. The helpful staff. The central location. Ease to get there using planes trains and buses. Very close to the beach and the shopping street as well as the restaurants. I had luckily a sunny day and a walk on the beach was a perfect start for the day. The staff were very friendly and I was upgraded to a bigger room than what I have booked. It is really close to the ocean, so i could take a morning walk at the beach. The breakfast is really nice. The staff is also very friendly and you even receive a little present when you check out. Overnight parking was free of charge in a parking garage nearby. I would go back for personal holiday. Wir haben uns sehr Wohlgefühlt, ein bequemes Bett, und das wir mit einem Katzensprung am Strand waren.Auch ein weiters Plus für die sehr gute und Peiswerte Parkmöglichkeit im Parkhaus. Lock in a great price for Sleeping by Van Beelen – rated 9 by recent guests! Sleeping by Van Beelen This rating is a reflection of how the property compares to the industry standard when it comes to price, facilities and services available. It's based on a self-evaluation by the property. Use this rating to help choose your stay! 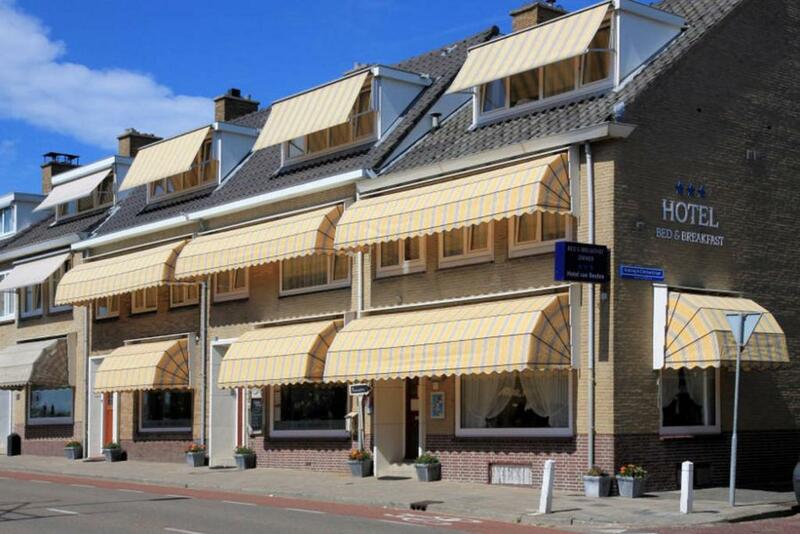 Located near the beach and Katwijk's city center, Sleeping by Van Beelen offers studios and B&B rooms with free WiFi. A supermarket is located at 350 feet from the accommodations. All accommodations have a private bathroom. The studios have an extra kitchenette so you can cook your own meals. The deluxe and standard studios can only be booked without breakfast. Several restaurants can be found within 1,300 feet from the accommodations. Guests of the accommodations will receive several discount vouchers for restaurants in the surroundings of Sleeping by Van Beelen. If you feel like visiting the surroundings, Leiden and the spring garden Keukenhof are a 15-minute drive away. On Fridays, a market can be found at a 0.6 mi distance. When would you like to stay at Sleeping by Van Beelen? Includes cable TV, a work desk and a private bathroom with free toiletries. Some rooms have a balcony, these are available on request. Public parking is available at a location nearby (reservation is not needed) and costs EUR 25 per week. This studio includes a kitchen area with 2 electric hobs and a private bathroom. The Small Twin Room includes a private bathroom equipped with a shower and a toilet. Guests will also find a washing stand in the room, as well as a TV. Some of the rooms also offer a balcony. Please note that if guests would like a room with a balcony, they can request this by using the Special Requests box when booking. The deluxe studios can only be booked without breakfast. The standard studios can only be booked without breakfast. You want to spend the night in the former Hotel van Beelen? That is still possible with 'Sleeping by Van Beelen'. The former Hotel has been divided into several small accommodation units and the 3rd generation is now also actively involved. At former owner Marianne Schenk - Mol van Beelen you can spend the night in the small-scale homely B & B Van Beelen in double rooms or studios. Warm hospitality, fully furnished rooms, a rich breakfast and personal attention to ensure that every guest has a wonderful stay. The standard studios without breakfast can be found at 'Huis 8' by Hans & Lilian van Rhijn - Mol; uncomplicated comfort in studios with towel service and final cleaning. Around the corner but directly behind the main building is the accommodation 'Huis 19 studios' by Sebastiaan & Caroline Mol. These Deluxe studios are equipped with air conditioning. You see: something for everyone! The name has changed, but the location, hygiene, comfort, free Wi-Fi, service and quality remain familiar! House Rules Sleeping by Van Beelen takes special requests – add in the next step! ATM card Sleeping by Van Beelen accepts these cards and reserves the right to temporarily hold an amount prior to arrival. Sleeping by Van Beelen accepts these cards and reserves the right to temporarily hold an amount prior to arrival. Please note that for reservations of 6 or more rooms, different policies may apply. The accommodations will contact the guests after making the reservation. Please note that smoking is only possible on the inner court. You can also book a room with a balcony and smoke there. Please note that children and babies can only stay in existing beds as long as the maximum amount of guests per room does not exceeds 2 people. For children and babies, the same rates apply as for adults. Guests arriving after 18:00 are kindly requested to inform the accommodations of their estimated arrival time. This can be noted in the Special Request box during booking, or by contacting the hotel using the contact details found on the booking confirmation. Please inform Sleeping by Van Beelen of your expected arrival time in advance. You can use the Special Requests box when booking, or contact the property directly using the contact details in your confirmation. It was cold in the room and I haven't managed to change the setting of the temperature by myself. The room was a bit small, but it had a lovely balcony. The only negative aspect is as follows: The shower was extremely comfortable but I missed a grab handle when in the shower in case I slip, but more important (for me), is a handle for stepping out of the shower with partially dry feet. The breakfast was excellent and sufficient. I don't know how they could get round this but.... When the TV in the room was put on standby at night the blue light eminatting from the bottom of the TV frame was so bright it lit up the room and disturbed my sleep. I covered the tv with my coat which sorted the issue.